Victorian captain Peter Handscomb lauded Maxwell for his fielding efforts against WA. Victorian captain Peter Handscomb has backed his enigmatic star Glenn Maxwell to have fire up with his exceptional all-round skills in the JLT One-Day Cup final against Tasmania on Wednesday (October 10). 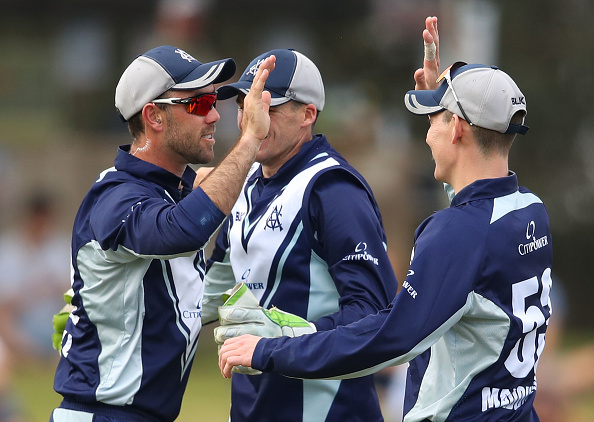 Maxwell failed to impress with the bat and ball in Melbourne, but was sensational with his electric fielding, as the all-rounder affected a run-out and two catches to help Victoria to beat Western Australia by 63 runs to book their place for the summit clash at Junction Oval. However, Handscomb is confident that Maxwell will do something special against Tasmania while lauding his stunning fielding efforts against WA on Sunday (October 7).